The South West Coast Path is the spectacular 630-mile (1,008-kilometre) National Trail around the tip of Britain. 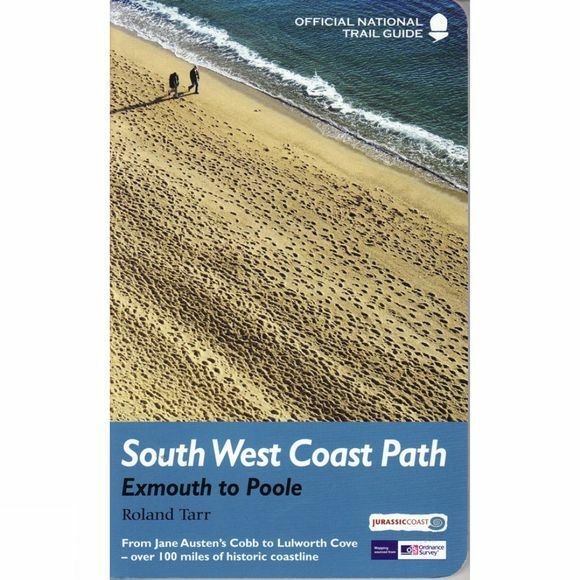 This volume features the section of the Path from Exmouth to Poole, a distance of 116 miles (186 kilometres) along the Jurassic Coast, a designated World Heritage Site. Following Natural Englands acorn waymarks, the route wends its way along the cliffs, past The Cobb at Lyme Regis and the impressive sweep of the Chesil Beach to Lulworth Cove and Studland Bay. This complete, official guide for the long-distance walker or the weekend stroller has been fully revised and updated for 2013. It has also been completely re-designed, and features many more colour photographs and much more backgrpound information on local history and wildlife. It is less a guidebook than a complete companion for anyone visiting this part of the landscape.